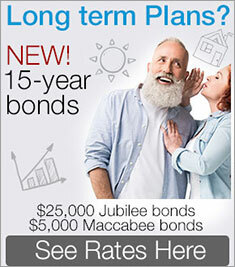 Israel Bonds are intended as a long-term investment. For the subscription price, the State of Israel agrees to pay you the amount of interest detailed in the applicable Rate Sheet for the subscription period of the Israel Bond and to return the subscription price all as set out in the relevant Offering Memorandum. 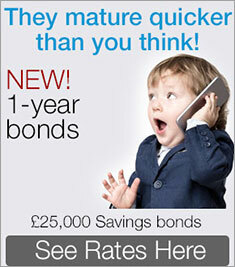 The Bonds are unlisted and will not be traded on any exchange, market or other trading platform. Additionally, Bonds may only be sold, transferred or assigned in limited circumstances. As a result, no secondary market can develop for the Bonds meaning that investors may not be able to sell or transfer their Bonds and will instead need to hold such Bonds to maturity. Therefore, in establishing their investment strategy, investors should expect to hold Bonds to maturity and ensure that the term of their Bonds is in line with their future liquidity requirements. If the currency you use to make your investment is different from the currency in which the Israel Bonds are denominated, or if the Israel Bond is denominated in a currency other than your usual currency, then the absolute performance of your investment will be affected by the relative relationship between the currencies and changes in rate of exchange may have an adverse effect on the value of your investment. There is a default or credit risk that the State of Israel may be unable to pay the contractual interest or principal on the Israel Bond and ultimately you could lose some or all of the money invested. Save for exceptional circumstances, Israel Bonds are issued in 'book entry' form with entitlements to Israel Bonds recorded electronically by the State of Israel's fiscal agent, whose records of entitlement are definitive. Investment in fixed rate Bonds involves the risk that subsequent changes in market interest rates may adversely affect the value of the fixed rate Bonds.